YOUTH sport will enjoy a five-figure boost from the inaugural Barrie Douglas Foundation annual dinner. The fundraiser was held in memory of the captain of the Scottish national boys’ team who took ill during last year’s European Team Championship and died in a hospital in Spain. He was 69. One-time Amateur champion Gordon Sherry regaled the audience at Perth’s Salutation Hotel with tales of his experiences at The Open and The Masters, with top after-dinner speaker Willie Allan MBE turning in a star performance. The dinner was sponsored by Dental Technique and McLeod Glaziers. Lifelong friend Alec Stobie paid a poignant tribute to his fellow former Perth Academy pupil and local businessman. Among the many golfers of various vintages in attendance were European Tour professional Bradley Neil along with fellow tour pros Danny Young and Wallace Booth. The Foundation was established by close friends, with support from Barrie's widow Tish and the family, to preserve his legacy and reflect his passion for encouraging young sporting talent. The one-time GB and I selector for the R and A was hugely influential in Perth and Kinross County golf for more than 50 years, serving as boys’ and mens’ team captain, manager and president. 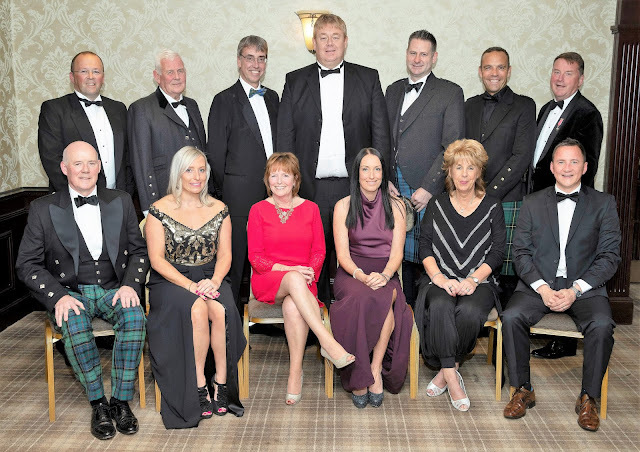 Foundation committee member Charlie Gallagher said: “The dinner was hugely successful with fantastic support from the business community reflecting the esteem in which Barrie was held. “The Foundation has already backed a Scottish Junior Masters tournament held at Blairgowrie, along with other events.